TV Toyland was a nursery comic published by Fleetway from 28th May 1966 to 1967 before merging into Playhour. 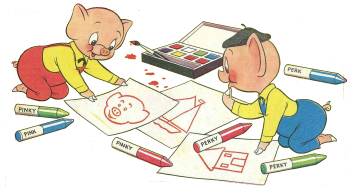 Its cover stars were Pinky and Perky; other attractions included “Num Num and his Funny Family”. Posted by boutje777 on October 3, 2016 in Uncategorized. The first Tv toyland was dated 28th May 1966. Thanks, i will make a note of that. TvLand Annuals were published from 1961-1963.